SPECIAL. 18 Hole Green Fee and cart only $38.00. 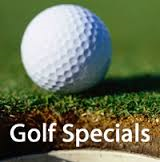 Greenfee special with a cart only $ 38.00. Pick up our special coupon flyer and save on green fee, power cart, club rental as well as clubhouse meals. Available to be picked up at the pro shop. 2019 golf memberships now on sale. Call 613-790-4813 for information about tee times.